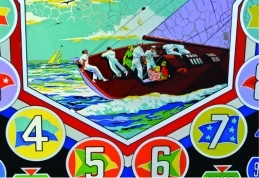 Meet the curators and learn about sailing in pinball history. All for one price: come early to play pinball, and stay to see the art. $20 per person, pay at the door. What: View the artwork, play pinball; free snacks, no host bar. Where: The Pacific Pinball Museum: 1510 Webster St., Alameda, CA 94501. Check out our new Gallery/party room! The Pacific Pinball Museum Gallery is now official! We have a large new gallery which makes it possible to have more comprehensive art, science and history exhibits which include visual artwork and relevant pinball machines all in one room! This is part of the dream our curators have had for a long time, and now it’s a reality! Do Team Building in the new private room. We’ll set up a tournament especially for your event. Using PPM’s easy-to-learn tournament format and software, you can run your own competitive event using the museum’s selection of about 100 games! We have special rates for individuals and nonprofits who want to have a fundraiser for a cause. Questions? 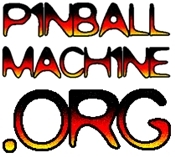 Get in touch atinfo@pacificpinball.org.